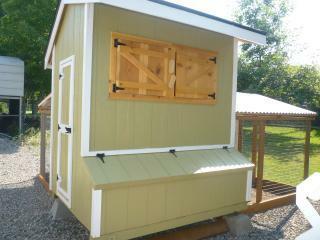 My cooop is made after an Amish style coop. I don't have all the building details because my Grandpa built it for me (thanks Grandpa!). 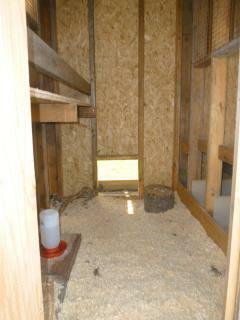 He drew up his own plans after we saw a coop like this at a feed store. He made the floor, walls, doors, and roof at his shop and then brought them over to our house and assembled them. It is 4x6 with 2x4 construction. Here is the finished product! The little shutters my Grandpa made so we can add extra insulation to the windows at night. Here is an inside view. Even though you can't see it we used laminate flooring for easy cleaning. We plan on insulating it and adding electricity. 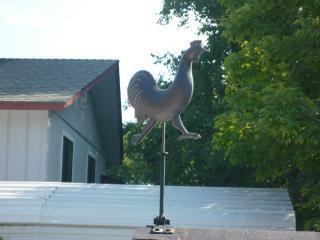 Here is my roost. We used a droppings board. It is removable for easy cleaning. My Grandpa also made a second dropping board as a spare. Above the droppings board you can see our vent. 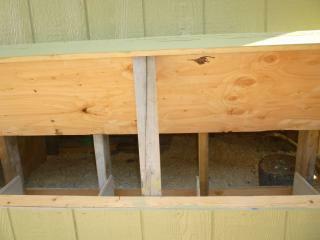 Here are my nest boxes. There are 5 of them. 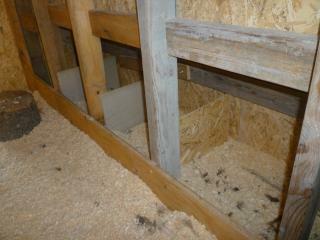 The front board isn't touching the floor so I can brush the shavings out to clean the nest boxes. 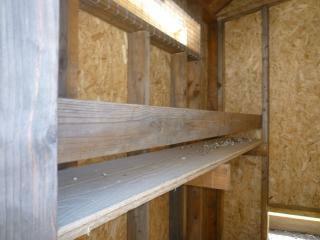 I wanted to be able to access the eggs from outside so we made external nest boxes. My Grandpa put a board in on hinges so I can prop the door open while I am cleaning or colecting eggs and that seems to help a lot. This is my run.We used hardware clothe. We put the wire a little below our gravle and we framed it with wood. 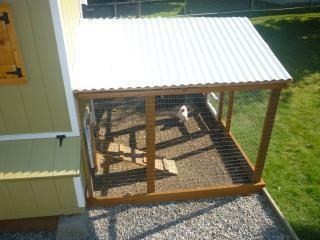 We covered it with plastic roofing so it doesn't get muddy when it rains or full of snow in the winter. 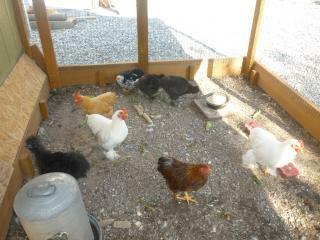 Here are my chickens enjoying their run! "Nice coop, wish there were in progress pics." Ypur grandpa did a great job. I just the the run could be bigger if they do not free range. Awesome build!